Leader of the opposition in Meghalaya State Assembly, Dr Mukul Sangma on Tuesday said Assam should take into confidence all political parties on the need to solve the long pending inter-state border issue with Meghalaya. 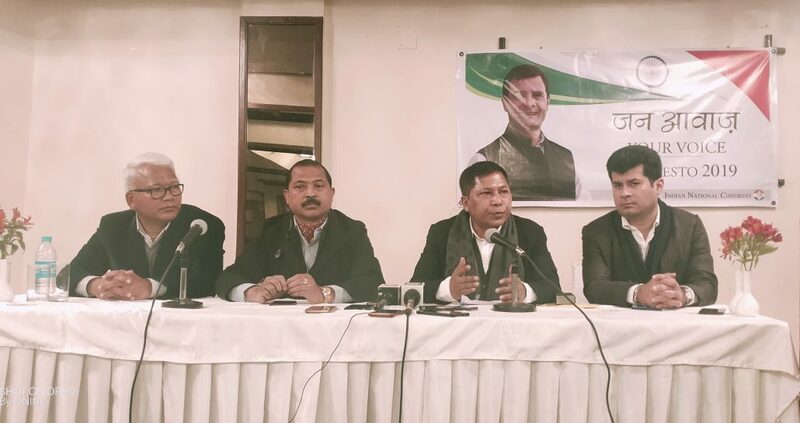 Senior Congress leader and former Meghalaya chief minister Dr Mukul Sangma said Meghalaya has been able to take political parties on board on the border issue and passed a resolution few years ago. “Assam should also do this, if not, at least try,” Sangma suggested while talking about the need to work together by the two neighbouring states for growth and development. The issue also came up for discussion at the meeting of the Congress on election manifesto held here with stakeholders. In 2011, when Dr Mukul Sangma was at the helm of affairs, Meghalaya government had submitted documents to Assam to register its claims over the 12 areas of difference and the need to resolve the problem mutually. It may be mentioned that a joint meeting of legislators and district officials of West Karbi Anglong district from Assam, West Jaiñtia Hills and Ri-Bhoi districts from Meghalaya in November last year decided that district officials from both sides should share information before taking up developmental projects in areas along the Meghalaya-Assam border in order to avoid any sort misunderstanding between the two neighbouring states. This decision was taken at the joint border meeting of the district officials held at Nongpoh, the district headquarter of Ri-Bhoi district. The joint meeting discussed several issues related to implementation of various developmental projects and the alleged involvement of Assam police in the demolition of structures built by Meghalaya in the border areas.